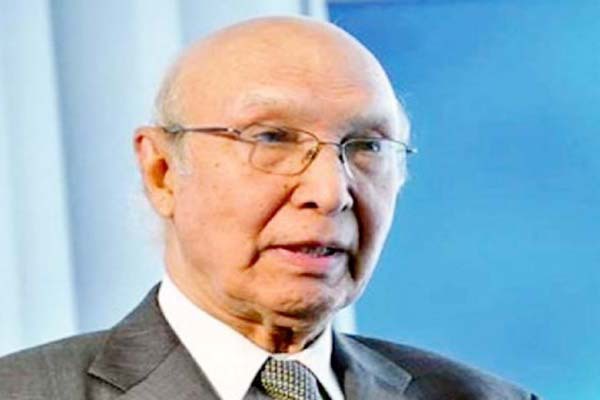 ISLAMABAD, Sept 9 (APP): Advisor to the Prime Minister on Foreign Affairs Sartaj Aziz Friday said Rewaj Act to replace colonial era black law Frontier Crimes Regulations (FCR) has been prepared which would be presented in the National Assembly before its enforcement. Speaking in the House after Laying the report of the committee on FATA Reforms, 2016 in the National Assembly, he said it was an important matter which needed to be debated in this august house. Sartaj Aziz said the Khyber-Pakhtunkhawa government has also been taken board and the Prime Minister has also decided to make the report public. He said the Prime Minister had constituted the committee in November in November last year which took eight months to deliberate on it. He said the committee visited all the seven agencies of FATA and met cross sections of the society including FATA elders, representatives, civil society members. The Advisor said the committee presented four options for reforms before them which include; maintain Status Quo but introduce judicial/administrative reforms and increase focus on development activities; create FATA Council on the pattern of Gilgit Baltistan,create a separate Province of FATA and Integrate FATA with Khyber Pakhtunkhwa Province. He said majority of opinions were in favour of merging FATA with KPK. However, he said it would need some time. Sartaj said local government election would be held besides setting up benches of High Court and Supreme Court in FATA.